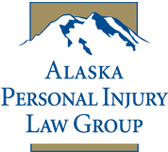 The attorneys at Alaska Personal Injury Law Group have handled cases involving workplace and industrial accidents throughout the State of Alaska. These cases have involved fires, electrocutions, explosions, oilfield injuries, and defective equipment. Because the employer is typically shielded from suit by the exclusive remedy of the Alaska Workers Compensation Act, careful attention must be given to identifying all responsible parties. The attorneys at Alaska Personal Injury Law Group have a total of 85 years of injury litigation experience in Alaska and are familiar with this area of the law. They have at times taken cases in this area of the law that were refused by other lawyers because of their difficulty. Mr. Vollertsen, for example, successfully represented workers injured in an oil field explosion at a Halliburton plant in Kenai. 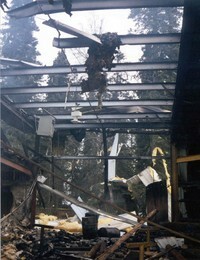 Although their claims were barred against the employer, successful claims were brought against the manufacturer of the down hole perforation guns and the explosives. Resnick et al. v. Halliburton, Inc. (Confidential settlement) He obtained similar success representing an apprentice elevator repairman who was shocked by 480 volts in a claim against the elevator manufacturer and a general contractor, even though the damage claims against the apprentice's employer were barred by law. Grenz v. Roger Hickel Construction, Dover Elevators, Inc. ($2.25 million) The workers in both cases had been told by other lawyers that they had no claims. Because of the complexity of the law protecting employers when workers are injured, as well as the scientific and technical standards in many industries, it is very important to engage attorneys who can handle these issues when they arise because of industrial accident. The attorneys at the Alaska Personal Injury Law Group have the skill and expertise to resolve injuries from industrial accidents for their full value. Contact us. We can answer your questions and help you determine if you have legal remedies in addition to those provided by the workers compensation law.